This time of year I'm always struggling with gift ideas for the adults on my gift list. I thought you might be, too, so I've pulled together a list of the best kitchen essentials for home cooks. These ideas are based on my own experience. They represent the kitchen essentials I reach for day after day. They will be appreciated by any home cook on your gift list. This post contains affiliate links for your shopping convenience. I receive compensation that supports publishing this blog when you shop using these links. Potholders may seem mundane and boring, but there is nothing more important in the kitchen than potholders you will use. I especially love thick, colorful, terry potholders. I've had a variety of potholders over the years but my favorites are these terry potholders. Terry potholders are easy to hold in your hands, grab the handles of pots easily, and provide enough protection for your hands. 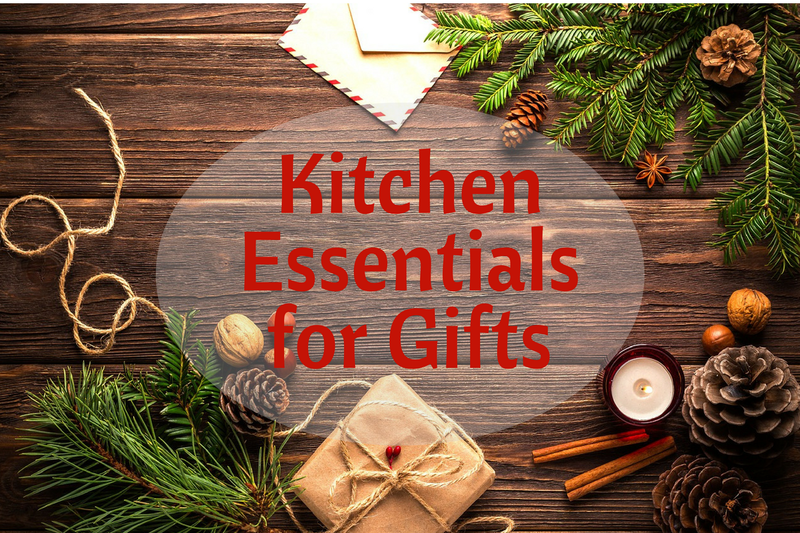 Buy an assortment of colors for gift giving or combine them with a few other kitchen essentials. Spice mixes are another must have in my kitchen. I like to make my own spice mixes like this recipe for Southwest Spice Mix. You can make this spice mix and gift it in pretty spice jars. This set of ten spice jars comes with chalkboard labels that I love. Be sure to include a couple of your favorite recipes that use the spice mix. I'm also very fussy about my kitchen towels. I want them to be made of 100% cotton and be nice and large. I don't like terry towels in the kitchen because I want my kitchen towels to be lint free. These vintage-inspired towels fit the bill. This set of twelve can be split into multiple gifts. Treat yourself and keep a few for your kitchen. If you like to gift baked goods for the holidays, one of these towels will be lovely wrapped around your gift. Cookie scoops have changed my life when baking cookies. Gift multiple sizes of cookie scoops to your favorite cookie baker and she will thank you over and over again. This set of three will be perfect for cookies or ice cream. Decorating tools for cookies and cakes will also be greatly appreciated by your favorite bakers. This set of Russian decorating tips includes so many fun tips for different and creative decorating. This is an amazing set with fifty tips, bags, and more. Last on my list is this Escali Digital Kitchen Scale. I cooked for years without owning a kitchen scale, but since I purchased this scale I've found myself reaching for it day after day. Now I can't imagine being without it in my kitchen. I use it to measure ingredients when baking. I use it when dividing recipes into equal portions. I use it to weigh frozen meats for defrosting in the microwave. I use it to weigh chocolate for melting. I could go on and on... Happy shopping, friends. 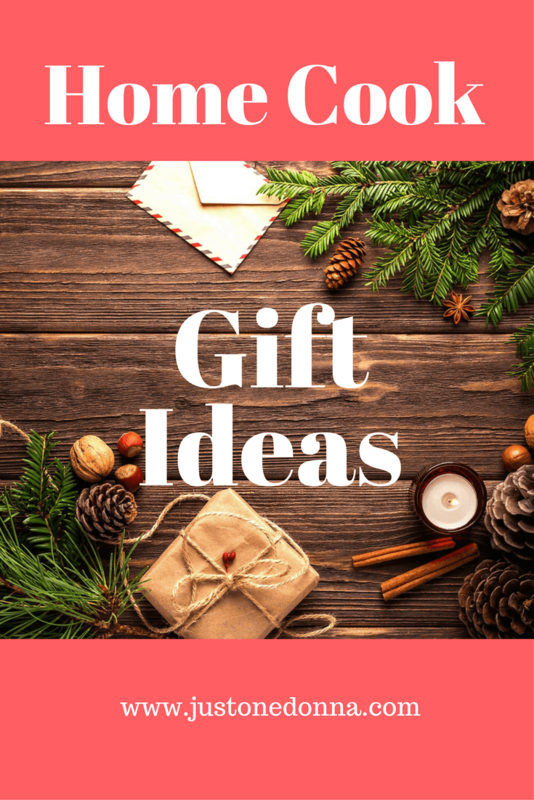 I hope these ideas help you get some gifts crossed off your shopping list from the comfort of your favorite chair. Thank you for sharing this post on Facebook, Twitter, and Pinterest. Your sharing is greatly appreciated.